Any approved telecommunications company that arranges a “Bill and Keep” agreement with VocalTec’s subsidiary, YMax Communications Corp., will receive free softswitches, application servers and session border controllers. A Bill and Keep is a pricing arrangement for the interconnection of two telecommunications networks under which each network agrees to terminate calls from the other network at no charge. This free offering can save companies hundreds of thousands and even millions of dollars in some cases. Well YMax have come a long way. They have managed a reverse-takeover of the company that invented VoIP and Softswitch, Vocaltec. 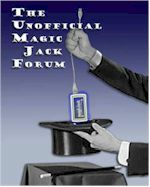 Now they can rightly claim Vocaltec also invented Magic Jack since they are now one. This is an old report, so I wonder if there is any progress of this bold move? If many CLECs have rolled over to YMax's irresistible offer? Dan can't afford me yet.